What’s the purpose of a diabetes management device? Is it to lower A1c? Prevent hypoglycemia? Spend more time in-range? Some combination of all three? Or perhaps we have to look beyond blood sugar control. After all, quality of life has to count for something. Does it make living with diabetes safer and easier? The MiniMed 670G from Medtronic is an insulin pump coupled with a glucose sensor. It uses a computer program (called an “algorithm”) to automate certain aspects of insulin delivery. I decided to try 670G partially out of professional interest (everybody and their great aunt has been asking for my opinion on the system), and partially out of personal interest, as my blood glucose control hasn’t been the greatest the past couple of years. Since I started using 670G, my overall blood glucose control is better. I have to keep reminding myself of this non-consequential fact, because every day I find things about this system that I don’t particularly like. In my opinion, the pump itself leaves a lot to be desired. There are so many features and so many menus and so many safety/confirmation steps that my button thumb is starting to form a blister. The color screen is nice, but not large enough to display everything it needs to display. And the freakin’ clip is upside down. The reservoir connector pokes me in the gut every time I bend over, and I have to unclip it to see the screen and programming menus in the proper orientation. The “hybrid closed loop” part of the system (what I prefer to call the “semi-automatic feature”) is what makes 670G special. It functions by making adjustments to the BASAL insulin based on data received from the linked glucose sensor. Since previous-generation Medtronic sensors (Sof-Sensor, Enlite) were, shall we say, less than optimal, I went into this highly skeptical. After all, if the sensor isn’t feeding the pump a steady stream of reliable data, what’s the point? I’ve been pleasantly surprised by the performance of Medtronic’s new Guardian sensor. In my experience, the Guardian sensor tends to under-estimate glucose values (sometimes significantly) and the overall accuracy still falls short of the Dexcom G5. And it still requires three hands and four different forms of tape to secure it to the skin, along with four to six fingerstick calibrations per day. But the insertion process is quick and painless and the transmitter signal almost never misses a beat. Overall, Guardian represents a major improvement over Medtronic’s previous CGM systems. The algorithm that determines the basal insulin doses makes adjustments every five minutes based on recent sensor glucose measurements, insulin delivery and meal (carb) entries. The algorithm adapts on a daily basis based on what took place over the previous six days. So there are both reactive (based on what’s already happened) and proactive (predicting what will happen) components to the algorithm. However, the algorithm is highly conservative in nature, doing everything in its power to keep the user far, far away from anything resembling hypoglycemia. The basal algorithm targets a glucose value of 120 mg/dl, and there are limits to how long the system can deliver zero basal insulin as well as the magnitude and duration of maximum basal delivery. The maximum rate of basal delivery is based on a rate that (the system believes) would cause the glucose to drop below 70 if it was to run for about 8 hours continuously. Think of it this way: The max basal in auto mode is sort of like not allowing the captain of the ship to turn the rudder too sharply for fear that the ship might sway too much. Of course, when you have a big ship and a small rudder, that isn’t likely to happen. So why the ultra-conservative approach? Most likely because regulatory authorities such as the FDA like it that way. Less risk of hypoglycemia = less chance for negative feedback and legal issues. But it does make the system less responsive than it could be. For those who normally have a significant difference between their “peak” basal and their “valley” basal, perhaps due to a pronounced dawn phenomenon, the algorithm’s max basal may not be enough to meet peak basal needs. By the way, bolus doses are NOT automated. Users must still enter their carbs into the pump’s bolus wizard calculator as well as the blood glucose value. But the user’s original sensitivity (correction factor) and target settings are NOT applied. The system calculates correction doses based on a conservative target of 150 mg/dl and a sensitivity/correction factor that it determines on its own. Despite these shortcomings, I’m seeing less overall variability (more time in-range, fewer extreme highs & lows), and my overnight glucose levels are more stable than they’ve been in years. It’s rare that I don’t wake up within a reasonable range in the morning. The overnight part makes perfect sense. Because the system adjusts the basal delivery whenever glucose levels are trending up or down, it is able to alter the glucose pattern over the course of many hours and keep things in-range… assuming nothing else interferes. It reminds me of a large cruise ship. When the ship is moving at high speed, a small rudder will not allow it to change directions quickly enough to avoid things like icebergs (this is what happened to the Titanic). Not that 670G is going to cause anyone to crash and sink, but there are similarities in terms of what it can and cannot do to self-regulate blood glucose levels. On long stretches of open water, a big cruise ship with a small rudder can get you from port to port very effectively. During the journey, if the ship starts to veer off course, it has enough space and time to get back on course. 670G does the same thing: Over the course of many hours, with nothing affecting glucose levels other than the liver’s usual glucose production, the basal insulin can be adjusted to offset subtle ebbs or flows in glucose levels. Start to rise a bit? The basal delivery increases so that over the next several hours, you’re back on track. Start to drop a bit? The reverse takes place. As a result, you wake up pretty close to the system’s set point of 120 mg/dl most mornings. Everyone who lives with diabetes knows about the hour-to-hour, minute-to-minute challenges we must contend with. 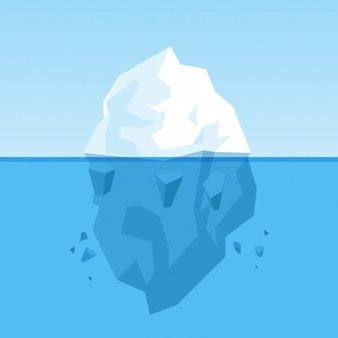 These are the icebergs – the things the system must navigate around in order to prevent extreme highs and lows. Essentially, anything that can cause a rapid, abrupt rise or fall in glucose levels represents an iceberg. Remember, we’re dealing with a huge, fast-moving ship with a small rudder. The pump’s basal adjustment just isn’t powerful or responsive enough to prevent high and low glucose levels when confronted with icebergs. Limits to the automated basal adjustment. As described earlier, the automatic basal adjustments are limited in terms of magnitude and duration. The “maximum basal” is relatively conservative and can only run for a maximum of 4 hours. The “minimum basal” (zero delivery) can only run for a maximum of 2.5 hours. Sometimes, stronger and longer adjustments are truly needed to achieve and maintain in-range glucose levels, these limits can be… well… limiting. Sensor reliability. Even when the system is properly calibrated, there will be times when the sensor reports incorrect/inaccurate information to the pump. And the algorithm is only as good as the data being fed into it. Absorption issues. Just because a dose of insulin is delivered below the skin does not mean that the insulin reaches the bloodstream as expected and works as expected. This applies to both basal and bolus insulin. Users must change sites frequently/regularly, rotate properly, and troubleshoot effectively. Undetected pump problems. There is a long list of things that can go wrong! Air in the tubing, displaced infusion sets, partial occlusions, partially (or completely) spoiled insulin, leakage, and unintended disconnection just to name a few. Times out of auto mode. “Auto-mode” is what we call it when the system is automatically adjusting basal insulin based on data fed into it by the glucose sensor. There are several situations in which the system will phase out of auto-mode. There is a transition phase called “safe mode” that initiates under these conditions. Safe mode can run for up to 90 minutes, with a flat basal delivery and no automated adjustment. If the issues noted below are not resolved within 90 minutes, the pump returns to “manual mode”, which means that everything returns to the user’s default settings. Despite these “icebergs”, I have managed to achieve better glucose control with 670G than I could achieve on my own using a pump and non-integrated CGM. To compound some of the challenges, Medtronic took away certain tools that many consider essential to good self-management. This is like taking away resources that the captain of that big, fast-moving cruise ship would normally use to circumvent the icebergs. Extended Bolus. When in “auto mode”, users no longer have the option of extending delivery of their boluses. Extending boluses is a useful tool when consuming large portions, slowly-digesting (low-glycemic-index) foods, or meals that take considerable time to consume. It is also essential for anyone with impaired digestion (gastroparesis). Under these conditions, “normal” boluses will peak too early, resulting in hypoglycemia soon after eating followed by a delayed rise. Medtronic may have assumed that the 670G’s basal adjustment would prevent this problem, but it doesn’t. It may reduce the severity of the fall-followed-by-rise pattern, but the pattern still exists. Users must think long and hard about timing their boluses properly to avoid this type of pattern. Manual bolus adjustment. Auto mode does not allow users to adjust bolus doses once they have been calculated by the pump, and manual boluses are not an option. Planning to exercise? Tough cookies. Take what we say. Sensor shows a distinct rise or fall at the time of the bolus? Too bad. Take what we say. To alter the dose, users are forced to “lie” to the system by intentionally entering incorrect carb amounts or glucose values. Correction doses in “auto mode” are determined by the system, not the user. And the system does not target a glucose of 120 (as does the basal algorithm); it targets 150. Why? Most likely to appease the FDA and get the product to market as soon as possible. The system also does not base correction doses on the “sensitivity” or “correction factor” that the user (and their healthcare team) may know to work, but on a mystery-clad component of the system’s secret algorithm sauce. Despite all that, because the algorithm typically cranks up basal delivery prior to the need for a correction bolus (since the glucose is rising and elevated), the correction boluses sometimes overshoots and leads to lows. The only allowable adjustment to the basal algorithm is a temporary target of 150 rather than 120. Presumably, this is for exercise. Trouble is, it takes a couple of hours for this adjustment to actually get the glucose up to 150 (so it has to be set a few hours in advance of exercise), and it isn’t sufficient to prevent hypoglycemia with longer and more intense forms of physical activity. Temp Basal. User-set temporary basal adjustments are not an option in “auto mode” since the system adjusts the basal on its own. And there are limits to how much (and for how long) the system will raise/lower basal delivery. If the user knows that their basal needs are going to be significantly higher (or lower) for a period of time, it makes sense to be able to inform the system before glucose levels start trending out of range. For example, having a high-fat restaurant dinner always causes my glucose levels to rise throughout the night. I know that I can temporarily raise my basal rate to deal with this, but the 670G doesn’t allow for this kind of input. Instead, it waits until the glucose levels start rising (usually several hours after the meal), and then, after four hours of delivering what it considers my “maximal basal,” it alarms and shifts out of auto mode and into “safe mode” where the basal delivery is even lower than what it had been delivering. A creative captain can figure out ways around daily challenges. Users have the option of switching in and out of auto-mode if they want to have access to things like temp basal settings, square/dual boluses, and self-adjustment of bolus doses. I often switch out of auto-mode during the daytime for this reason. One can adjust the timing and amount of boluses doses when delayed food absorption is anticipated. Delivery can be suspended temporarily and carbs can be consumed before/during exercise to keep from dropping low. Trusting the 670G system, combined with some creative self-management techniques, has led to improved glucose management. So who can benefit most from 670G? When functioning properly, it pushes the user towards glucose values in the 130-160 range, and A1c’s in the high 6s to low 7s. If this represents a nice improvement for you, then go for it. If it represents a step backwards, or is not consistent with your personal goals, then you might want to pass. Trust me, passengers on this cruise ship don’t get to lie around on lounge chairs and be waited on hand & foot. This is a working cruise! Expect to spend a fair amount of time in the kitchens and engine rooms. You’ll need to manage/maintain both the glucose sensor and the pump. Plan to perform fingersticks four to eight times a day for sensor calibrations and to keep the auto-mode feature running smoothly. Expect more alarms and alerts than usual. You’ll need to plan well-ahead to prevent lows (and highs, on occasion) when exercising. And you’ll still need to manage things the old-fashioned way when out of auto-mode (typically 10-20% of the time), and that means making sure your basal and bolus settings are properly fine-tuned. It also takes a shrewd captain to navigate this ship. Using the 670G and its full array of automated delivery features requires a great deal of training, aptitude, and attention to detail. Compared to traditional pump therapy (with or without an independent continuous glucose monitor), 670G can be quite complex. Training typically requires three separate sessions: one to learn the pump, one to learn the sensor, and one to learn the automated basal delivery system (auto-mode). One must understand all of the conditions that are necessary for auto-mode to activate. There is even an “auto-mode readiness” status screen that is nine items long! You’ll need to know when/why the system may go out of auto-mode, and how to get back in. And then there’s “safe mode” – a sort of purgatory between auto-mode and manual mode in which the pump is delivering basal insulin but not self-adjusting it until an auto-mode problem is fixed. I’m still trying to wrap my brain around that one. People who maintain a structured and predictable lifestyle also tend to succeed with 670G. There is much less chance of a cruise ship mishap in the Caribbean than in the Arctic Circle because of the lack of icebergs. Someone whose life includes frequent/inconsistent meals & snacks, random physical activity, changing work shifts, varied sleep schedules or significant stress is going to struggle in auto-mode. By contrast, those who eat consistent/well-spaced meals (with minimal snacks), work out regularly (or not at all) and lead generally relaxed and predictable lives tend to stay in-range most of the time in auto-mode. And for that matter, those whose basal requirements include a significant peak & valley (based on previous pump use & basal fine-tuning) may struggle a bit due to the limited basal variations that can take place in auto-mode. Those with relatively stable basal requirements throughout the day & night are more likely to experience success in auto-mode. One other virtue that can’t be understated is PATIENCE. Don’t expect your diabetes worries to vanish the moment the box arrives from Medtronic. The company is struggling to meet sensor supply demand and furnish certified trainers, so you may have to wait a while to get started. Once you get started on the pump, you’ll likely need to wait for a second round of training to get set up on the sensor. And the system’s algorithm will require several days in “manual mode” before it has enough data for you to switch over to auto-mode (which requires yet another training session). Even then, the system continues to self-analyze data in order to improve its performance, so it might take several weeks before it reaches peak performance. Bottom line: patient people ultimately reap the benefits of the system. Change the sensors weekly. The Guardian sensors are designed for seven days of use, and you’ll do well by abiding to that. Unlike Dexcom sensors (which almost beg to be reused), Guardian sensors often start to deteriorate after the first week of use. And since the sensor is directing your basal insulin delivery, it just isn’t worth the risk. Call on your Medtronic trainers and clinical specialists for ongoing assistance. They have insight-a-plenty to help minimize the system’s downsides, shorten your learning curve, and ultimately extract the most possible benefit. Regular use of 670G has been shown to reduce the frequency and severity of hypoglycemia, but don’t count on the system to fix your lows once they have occurred. Cutting back (or turning off) basal insulin will help to raise the blood sugar, but it won’t do so quickly. It usually takes a few hours for this to occur. By that time, you could get into an accident, have a seizure, or worse. Use rapid-acting carbs to treat your lows. And when you treat your lows, do so conservatively. Since low blood sugars will usually coincide with a marked reduction in basal delivery by the pump, you won’t need as much carb as usual to bring your lows back up to normal. Pay attention to the timing of your boluses. Glucose levels are likely to spike just as much in auto-mode as they do in manual mode (or with any other system) if the boluses are given too late. For most meals and snacks, it is still necessary to bolus 15-20 minutes in advance. However, without an extended (dual/square) bolus option, bolusing for slowly-consumed, high-fat or low-glycemic-index foods, the user will need to delay or “split” their boluses in order prevent a post-meal drop and post-post-meal rise. Plan ahead when exercising. The only auto-mode feature that can help at all is the “temporary target” of 150. If you want to use this, it will need to be set at least 1-2 hours prior to the workout. Setting it at the onset of exercise will do no good since it takes a couple of hours for basal changes to influence glucose levels (remember: big ship, tiny rudder). And if you expect a delayed drop following your heavier workouts, keep the temporary target of 150 in place for several hours post-exercise. Download your data, and work with your healthcare team to analyze the results. Carelink Personal and Carelink Pro will let you see where improvements are taking place and where adjustments may needed. The two variables that you have control over in auto-mode are the carb ratios and active insulin time. Carelink reports will help you to optimize both of these settings. For people who did not fine-tune their basal settings through a series of fasting tests prior to using 670G, it is likely that your basal delivery will be reduced when in auto-mode. This, in turn, usually means that carb ratios will need to become more aggressive – something to watch for. It would be nice to have a system that performs well in long stretches of open water AND navigates the icebergs deftly, and does so with minimal inconvenience to the user. Nevertheless, we have some very good options already. Unless you’re a subject under the United Healthcare dictatorship, you have CHOICES. You can pursue the 670G right away, deal with some of its shortcomings but enjoy the advantages of semi-automated delivery right away, and upgrade to its next-generation (new and improved, to some extent) system in a couple of years. Or you can go with another pump company, enjoy a pump that may have fewer drawbacks, utilize a separate CGM, and wait a couple of years for them to catch up to (or bypass) Medtronic on the hybrid closed-loop front. The 670G represents an important step towards fully automating glucose control. However, it is important to put it in the proper context and set expectations at an appropriate level. Despite the system’s many limitations, it will improve the quality of life for many people affected by insulin-dependent diabetes. What do you consider a significant difference between peak and valley basal rates? This really depends on the individual. Some people see a 10-25% variation through their day, some people can see a 300% variation from peak to valley. What matters is that it works. basal testing for verification is key to not over basal dosing. At what level of basal variation do you begin to see problems with the algorithm’s ability to keep BG stable during the time of higher basal requirement? My overnight basal is ~3x my afternoon basal and I’m wondering if this would make it difficult to avoid either waking up high or having lows in the afternoon. my basal needs are a lot like yours. i found that, for the most part, the 670 handled my higher basal needs, but it then tended to send my blood sugars lower than I like in the afternoon. (I don’t like to drive under 100 and had to eat pretty much every day at some point to drive safely, or correct a minor low) I believe this is because the system calculates an “average basal use” and bases adjustments on this average, which would be skewed a bit too high for me to avoid feeding the insulin. over the last week, adding workouts back into my routine has lead to more frequent lows through my afternoon, when my basal needs are lowest. Oh man. I have had the same experience. To the point of being actually angry with this device and its creators. I have not taken my A1c since getting it, but i suspect it has improved. The problem is my control is gone, and the hardware itself is so bad. If it it were a phone, no one would buy it because it routinely takes 3 seconds to respond to a button push, and if you need to silence it for, say, a meeting, you cannot. The pump treats you like an idiot. It is for idiots. People who dont mind giving up control while spending hours of extra time per week just dismissing stupid alerts, and trying to hack the algorithm to do what you onow you need. Like ten minutes after you test you have to spend 30 seconds confirming that it just realized you are “going” high. HI Ralph, I had a similar experience in my personal use, i feel like I had less power over my management and spent a lot more time button pushing. There are definitely some people who would be hugely helped by the 670G system, but it’s not a one size fits all, and for anyone to make the most of it takes education and work. We are looking forward to what is coming from Tandem’s HCL this summer, and further developments in the Loop system that are pretty amazing. Just started using this pump 4 days ago. So far it has been absolutely awful. My AIC prior was 6.8 but I experienced frequent lows so I wanted to reign this in and was advised this pump and CGM would do so. I have never in my life had the swings I have experienced in the past three days. I spend half the day with highs that feel like a 40 pound weight on my neck. I haven’t slept in days. First night, a low CS alarm every 20 minutes for 4 hours. I finally moved the targets to try and get a couple minutes of sleep. Second night, it turns off pump due to BS of 4.8 which leaves me so high in the morning after the dawn affect (mine jumps dramatically just from getting out of bed) that I couldn’t eat breakfast until 1:30pm while trying to beat the high down. Machine called for 25 BG tests in the first day. Sensor tells me I am 2.8. Actual BS after two tests with 2 meters is 5.2 (perfect). Sensor says BS is 11.3 when it is 8.2 Sensor says sugar is 8.9 when it is 11.2. These are all decision points I would have easily managed with my old pump and no CGM. With using this pump, I would be making wrong decisions unless I constantly finger prick. I was sitting at 4.7 and decided to eat a meal. I programmed a bolus to deal with the 48 carbs I was eating. The pump decided only to give .35 of my bolus and then shut itself out. No warning was given that it had stopped my bolus. BS rose quickly to 16.8 before I figured out that the bolus had been cancelled. After I programmed it and confirmed it and trusted it would be delivered. I have contacted my medtronic rep and plan to return this device. For me and my body and lifestyle, this system is flat out dangerous. Sorry to hear about such a stressful start! And Bravo for being empowered to make a switch to a system that fits your life and needs. Feel free to reach out, no matter what system you choose, or to get help finding the best fit for you. We can work together to maximize that system, maintain your control and reduce those lows. ” For people who did not fine-tune their basal settings through a series of fasting tests prior to using 670G, it is likely that your basal delivery will be reduced when in auto-mode.” — the 670g is my first pump; how should I go about doing these tests to properly place my basal rates? the 670G system does not take your basal settings prior to auto mode into account when calculating your automode basal doses. So fine tuning the basal dosing before hand would not impact how automode itself works. However this is a very good idea to have these levels adjusted for time spent out of automode and for dealing with unexpected situations. basal testing is done by fasting. 4 hours after the last carb eaten and insulin bolus given is considered the start of a basal testing period. If basal levels are set appropriately blood sugars should remain in a relatively steady state (a level line, whether that line is above or below a specified target is not the function of basal insulin.). for more information or assistance with basal testing and assessing your basal needs please give us a call at Integrated diabetes Services – 610-642-6055. We would be happy to work with you in this area, and give you additional education and support to aid you in successful use of your new pump. In 2014 when my doctor recommended I begin pump therapy I researched all the pumps available and I chose the Medtronic 530G for 3 main reasons….#1 the Threshold Suspend feature (important to me because I suffered from frequent and severe lows) #2 because of the CGM integration (I needed a CGM because of the lows and the Enlite sensors were very accurate for me) and #3 because from my research I felt that Medtronic was the leader in technology in insulin pumps. I read all the comments about Medtronic’s pumps not having color screens and being behind in looks of other pumps. To me what a pump looked like meant nothing. It was important to me what the technology inside the pump could do and how it would best help me manage my diabetes. So I don’t mind some of the design features mentioned in this article. I began on the 670G on June 20th, switched to Auto Mode on July 13th. My last week in Manual Mode on the 670G my estimated A1C was 7.6 and my in range time was 44%. My current estimated A1C is 6.7 and my in range time is 83%. I am rarely out of Auto Mode. I have never had such great morning BG’s as I do now on the 670G. 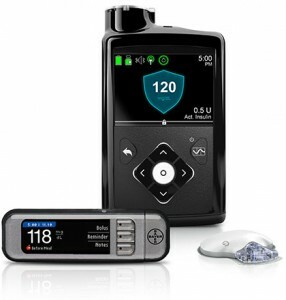 I tell everyone I have one word for the Medtronic 670G…..AMAZING! I have not had any issues with not being able to use some of the features mentioned above that are not available in Auto Mode. I am normally in Auto Mode 99% of the time and it has greatly improved my management of my diabetes. I was diagnosed at age 56 and am now 60. I never expected to see the technology of the 670G in my life time and now I look forward to the new advances that will come and even have great hope that I will see the AP in my lifetime. Wow that is so amazing that 670G works that well for you. I am 60 years old and was diagnosed as Type one when I was 55 years old. I have the Medtronic Paradiam 551 Pump with the enlight sensor. I am not sure if I want to try the 670G system yet? Thank you for sharing your experience. My experience with the 670G agrees with most of this article. I did one week in manual mode. Then switched to auto mode. I was in auto mode for 9 weeks total. At week six my pump went into the Blood Glucose Required Loop at 1 am. This results in 4 hours of non stop alerts and requests for BG checks. Calling the help line I was told to go in manual mode until they figure out a fix for this. After this error started happening more and more frequently I was told to keep my pump in manual mode. There is no software patch you can download. The pump will need to be replaced but they can’t do that until they figure out why some of the pumps go into this looping error and others don’t. I toughed it out till the 9th week and sent it back. I was paying for auto mode not manual mode. Very dissatisfied with the service and auto mode. Oh. I was in range 78% of the time in manual mode. After 9 weeks in auto mode I was in range 61% of the time. That was when I sent the pump back. Same thing happened to me with the “looping” malfunction. After explaining the issue to 3 different people at Medtronic, a tech admitted that it was a malfunction and replaced it with a new one. Nevertheless, my A1C is higher with the 670 than it was with the 630 and I have never been so exhausted in all my life! I haven’t slept undisturbed in months, and the constant maintenance and alerts are nagging me to insanity. Everything written in this article is exactly what I experienced. I was under the impression that this system would lessen the burden of T1D. In the 35 years of having T1D, I don’t believe that I have ever felt more burdened with the disease than I do now. I may just go back to manual injections and roll the dice with night-time hypos. At least I’ll get a good night’s sleep. I agree. When this system works, it’s great. When it works. It is a total burden at least two days a week trying to get the sensor system to smooth out. Looping, “bad” sensors, alarms, alarms. About ready to throw in the towel on this 670 G. I would about rather have the trustworthy and trouble free dexcom awaken me to a low, drink a juice, and go back to sleep rather than deal with the constant alarms and malfunctions. Before you throw in the towel I would encourage you to reach out to IDS, we have compiled a great deal of information on troubleshooting, maintaining and optimizing the hybrid closed loop system. We recently got approved for 670g here in Canada and I am very much interested but what is IDS? Wow. My experience with the 670G sensors could not be more different. I have never had a sensor “survive” for more than 5 days in the month that I have been using it (as an upgrade from the 630). Not sure what the problem is, but I am getting a litany of “Sensor is updating” or “Calibration not Accepted” or “Second Calibration not Accepted – Change Sensor Now”.- all resulting in my having to use new sensors ALL the TIME! NEVER had this experience with the 630 and Medtronic support has been less than helpful in this. That is EXACTLY my problem. It works fine (or mostly fine) for four or so days — but so far NEVER more than five. And then it goes into that sensor updating mode. And then it says change sensor. It does it all the time and as you say, the customer service script is designed to prove that the patient is doing something wrong. I would love to continue using this pump but this is really annoying. The other problem I have is the huge array of hard-wired (and not very useful at all) alerts that means I’m pulling it out of my bra in practically every business meeting, and I’m embarrassed at almost every public speaking because I can’t anticipate when it is going to decide to scream — low battery. Low canister. Sensor updating. Needs calibration. Approaching Low. Customer service answer to that problem is that before I go into every meeting I should change the battery, fill the canister, calibrate and take 10 g of glucose to make sure I’m not going low. Seriously? Why can’t I just mute all alarms for some period? I began using the 670G a week before adding the sensor and using that issue-filled “Auto Mode”. For the first week it wasn’t that bad but each week thereafter has gotten exponentially worse with the loss of sleep increasing weekly while dealing with the BG Required / BG Required / Calibration required / BG Required / Calibration required – looping malfunction that now occurs multiple times weekly. I normally change the sensor on Sunday and have to calibrate every three hours for the first 12-18 hours if I’m lucky… After changing the sensor, I start in auto mode but after the first or second calibration, I switch to manual mode to get our of that endless BG Required / Calibration loop! Give us the ability to perform manual boluses in “Auto Mode”. Instead of the over-complex auto mode, simply give the patent and doctor the ability to set Basal (aka Micro-Bolus) rates based on basic expressions, such as, “If SG is between 300 and 250 (inclusive), give 3.00U per hour … allowing the patient / Doctor to set all three values is each expression; and to create up to 10 or more expressions. Add a little more logic (aka common sense) to their algorithms, such as adding an “Insulin Activation Delay” variable, considering that insulin does not activate within 15 minutes for most long-time Diabetics, which would allow the patient/Doctor to enter the time it takes before insulin becomes active, after injection (based on real life experience)…. they may insinuate that this is considered — but from my experience — it isn’t…. The 670G Insulin Pump should officially be considered a beta-test unit with all the mis-programming and endless loops that occur; and all of us who paid for this beta system; and are currently using it – should officially be referred to as Beta-test Subjects! Couldn’t have said it better myself Brian. Great post, given the devices issues would you recommend considering the 670G for someone who is regularly hitting low to mid 6s A1C personally after endless issues with Enlite sensors not sure that I would ever look at using another MM sensor. My warranty expires in December, thinking at looking at t:Slim X2. It will be very hard for anyone to get an A1C lower than the high 6 range on the 670G in automode. The target BG (which the user can not change except to target higher for exercise) is just too high to allow for really tight control. Are you aware of anyone having intentionally mis-calibrated the 670G’s CGM to achieve a more aggressive glucose target? For example, one could add 25 to all finger-stick values used for CGM calibration. This would only work if the relationship between the raw CGM signal and calculated BG value is roughly linear. Are you aware of anyone who has attempted to mis-calibrate the Medtronic CGM while simultaneously wearing a second properly calibrated CGM (of any brand)? The results of this experiment could help a lot of people to achieve better control with the 670G. Problem with this is that Medtronic’s Guardian sensor will error and refuse the calibration if the number entered is too far from where the sensor “thinks” blood sugar should be. Even if the blood sugar is right, it will cause sensor errors on the system which leads to a string of repeated requests for blood sugars and calibrations and going out of automode. There are a number of ways to “outsmart” the system, but this is not one of them. And really, aren’t we looking for these systems to make us thin k about our diabetes less? Having to out think the machine I bough to reduce the amount of thinking just leads me to a new set of headaches. I have to get my A1c down to the 5.1 range to be able to keep my CDLS are you telling me that this pump will not be able to help with that? I have not purchased this pump yet but in the process of it. That said, it is unheard of for anyone to be required to maintain an A1C of 5.1 for a licensure. most approve under an 8. I’ve read all the reviews and your responses. I want to confirm what you say in this response that I am responding to. My A1c is always under 7.0. Most recent was 7.0 because of some sick time. Prior two were 6.5 and 6.3. My first reaction when the trainer talked about keeping me at 120 SG target was that my A1C would go up. You confirmed my instinct. I’m amazed that I was in training and only with delivery of the pump and sensors did I hear about SG vs BG. I’ve lived well with T1 for 60 years and now feel really duped by the hype. Like a couple of other reviewers I have more more stressed using this 670 system than at any time in those years. Even my team thought the new system would get me to a lower A1C. I’m grateful for your clear statement about expectations. I will try to get my paradigm back. The new system is acting like the little pink bladder in the TV commercials. The best someone can hope for in terms of A1C with automode is a mid 6, so you are not likely to see your A1C go down, though some users are able to maintain a 6.5 or so with far fewer lows, which is great. BUt it does take adequate education and support in use to get there. As you said, too many prescribers bought the hype without being trained and really understanding the time commitment required to get their patients to goal with this system. I’m deeply disappointed with devices that are overly restrictive since they show a lack of respect for the user. Medtronic should know better but at a guess there building a device for people who they think don’t want to learn the detail. I think they sometimes forget what it’s like to be a T1. There’s risk involved with living – at least let me manage it! I like to think they’re not being intentionally user hostile but then when I consider Dexcoms inability to mute alarms (requiring you to TURN OFF the device to get silence in a meeting), I’m not so sure in this industry. It’s almost like nobody’s actually uses their own product. it is very likely that a great deal of the inflexibility and built in “safety” features are to get FDA approval. new advances always come with risks. once the devices are actually in users hands, and other companies are able to take their time to prove their safety without these restraints we will likely see more savvy options come on the market. Totally with you on that inability to mute alarms. Ruins meetings and public speaking for me. I have to turn the whole pump off to guarantee that I won’t be interrupted…..
Good review but I 100% disagree on exercise. I’m a long-time cyclist, and on 670 with a temp target of 150, I can easily do 100 miles going mostly hard effort, eating carbs over a 5-6 Hour period (and not dosing for it), and end up with a mostly flat CGM line around 120. It’s simply mind-blowing how well it works during exercise. For me, accuracy is spot-on, if not better than Dexcom. I do agree though about the extended/dual-wave bolus. I miss that. :/ You mention Fiasp, and I agree too. That will help increase the rudder size. I’ve been on this pump for almost 4 months and have seen a marked improvement in BG levels and day to day diabetes management stress. It may not be 100% perfect as the worlds first HCL system but WOW it is so so close. We are finding that the exercise problem most drastically effects clients who are exercising for weight maintenance or reduction. Having to eat to maintain blood sugar through a workout is not ideal calorie balance. Without the option to temp basal or reduce the bolus on the previous meal intake, one is often left with no option but to “feed the insulin” to avoid a low. Exercise is a highly individualized area with goals, intensity, duration and hormonal response varying widely, so results will certainly vary. Hi, I stay in the UAE and my daughter is recently diagnosed with TI. The 670G is not available in the ME, only 640G. Is it possible to buy the 670G from the company with supplies every 3month and ship it to the UAE? I don’t think so. You need to have a physician prescribe it within a nation where 670G is approved and available. I am encouraged by the reviews and comments above and will look at the newest Medtronic system when mine is up for replacement. I currently am using a Medtronic 751 pump in combination with a Dexcom G5 CGM. I had previously had the complete Medtronic system with the auto shut off. However this system help little as the Sensor to Pump communications was severely lacking. If the Sensor and pump lost communication signal the auto shut off would not signal or work. So that safety check I was looking for often would not be functional. I am hoping that Medtronic has figure out the transponder to pump issues and addressed them. Several have mentioned the main issues I would have concerns with using a closed loop system. Thanks again for everyone’s thoughts and comments. I appreciate you sharing them with me. What a fantastic review. 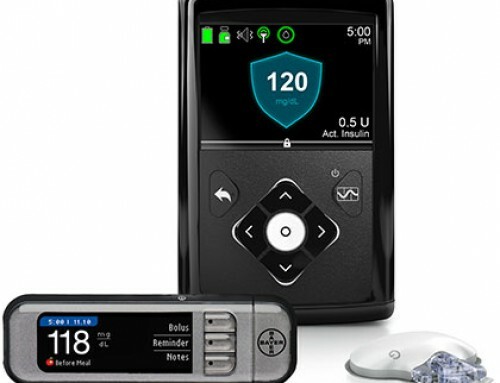 I am researching my first insulin pump and am debating the Medtronic or Omnipod (in anticipation of the Dash system). I keep very tight control and aim for an A1C of 6.0%. I use MDI and am more aggressive because of my beloved Dexcom G5. After reading your review I will probably not go with the Medtronic, and go with the tubeless Omnipod for my active lifestyle. I like to be in control of my ship, and don’t mind spending more time at the helm to ensure my rudder is keeping me on the right course. Of course this is because I have my iceberg radar (CGM) to keep me in safe waters. I want, and need, that customizable control over my pump. Your review is the only one that I have found that speaks honestly to this point. Great analogy too! Feel free to reach out and schedule an appointment with us at Integrated Diabetes Services for training and education on how to really maximize your insulin pump’s capabilities and make the most of your management efforts! David – I just want to say that you can still do the same thing with the 670… Just keep it in Manual mode. You then will have the nicely integrated CGM and the full control of the insulin pump and regular features that many pumpers have become accustomed too (Square wave/temp boluses etc). + even in manual mode you still get the Auto Suspend and Predictive High/High alerting, which can quicken your responses to mis calculated boluses. As for the training… I didn’t do any. I read the manual which took me about 2-3 hours and I am more than comfortable using the system. Thank you so much for this article. I’ve had the 670G for 6 months now. I’ve never had a CGM/Dexcom before so this was a complete change and my A1C went from 7.7 to 6.2 within the first 3 months. There are a few big issues I have with the Sensor. First, with a low sugar I almost ALWAYS go high afterwards. So as soon as I eat and I see my number start to rise, I always give myself insulin afterwards for most of the carbs I ate. The 2nd is with this vicious “Calibration Required…BG Required…Cal Required…BG Required…” loop that I get into at least once a week. Most of the time this happens when I first put in a new sensor, at the first calibration or at the 6 hour calibration, but I’ve also had it happen if I’ve been in manual mode for too long (like if I couldn’t calibrate due to trending hours or active insulin). So here’s what I’ve learnt after talking with medtronic for HOURS about it; after it asks you to calibrate, then says BG required, then says calibrate again (of course waiting at least 1/2 hour between calibrations) if it asks you to calibrate AGAIN for a 3rd time, shut off auto-mode for at least 6 hours. This is almost like restarting your computer. yes its annoying to go back to manual, and usually my numbers go a little higher than normal when this happens but when I turn back on auto-mode, it almost always accepts the first cal and BG that I give. Third, and don’t know if this applies to anyone else, is that since I’ve gotten the pump in August 2017, the Guardian sensor has only lasted the full 7 days twice. I usually have to switch it when there’s around 24-36 hours left. I was told by a medtronic representative that some people’s bodies just can’t handle a foreign object and so they just have to change more frequently. Curious if anyone else has this problem. I’m always careful to not calibrate with trending numbers or active insulin. And if I have to calibrate with a High BG, i always check the ISIG before I do. One fo thef rist Medtronic Reps I spoke to told me you can’t calibrate with a high ISIG, but that’s incorrect. Take your BG and divide it by the ISIG, if that number is less than 20 then you can calibrate with that BG. For example; if your BG is 210 and the ISIG is 38, then that number is 5.5 and it’s ok to calibrate. But if your BG is 370 and your ISIG is 9, then you get 41.11 and that isn’t ok and you’ll have to wait to calibrate until your number get’s lower and you have no more active insulin. Thanks again for the amazing article! What you describe is also called the Dreaded BG loop. There is an easy fix for it. IF you are stable (that’s important) and you know it’s an error: calibrate, ignore the loop, and calibrate again in an hour (or thereabouts). Error fixed, loop fixed. You did a good job of stating the pros as well as a little over the top on the cons. As you noted in red…your overall blood sugars are better by using this system. I agree it leaves some things to be desired but my 7 year old on a routine will benefit from this greatly. He goes on it in a month. Finally kids with T1D can have this!! There is no way even as educated as I am on T1D could i ever get his #’s dialed in as good as this thing can. NO WAY! Simple math and a dexcom and an Insulin pen just don’t do the job right. This technology is a god send! And it will only get better in the next few years. Thanks for sharing your experiences. This system will definitely help some people, and will definitely be a step back for others. That is why we review and share our experiences as well. You did a good job of stating the pros as well as a little over the top on the cons. As you noted in red…your overall blood sugars are better by using this system. I agree it leaves some things to be desired but my 7 year old on a routine will benefit from this greatly. He goes on it in a month. Finally kids with T1D can have this!! There is no way even as educated as I am on T1D could i ever get his #’s dialed in as good as this thing can. NO WAY! Simple math and a dexcom and an Insulin pen just don’t do the job right. This technology is a god send! And it will only get better in the next few years. For adults who can manage for themselves, i could see a better way to manage. From the aspect of a parent who has to make insulin decisions for another person I just don’t see a better way to help my son succeed in his BG #’s consistently. If there is something better out there please please please tell me. I want the best for my boy. My heart goes out to all with T1D. Great review. We don’t use the auto-mode due to high energy and being a grazer. I was hoping you’d mention something about the MiniMed Connect uploader/app. Have you heard anything on if they’ll be doing it for the 670g? My 6-yr-old, T1D is on it and switching schools soon. the medtronic system is entirely proprietary. To use the 670G system you have to use the Guardian sensor. However like the dexcom, medicare has not approved the Guardian integration with the pump, this short coming has been very frustrating for customers and not well publicized by medtronic. Medicare has not yet approved the adjustment of basal insulin based on sensor data. I use a Tandem x2 and also use the Dexcom G5, but I did not like the CGM integration on the Tandem x2, AND I found the Dexcom receiver and phone app to be lacking. So I use xDrip+ on my (Android) phone, with my Dexcom G5 readings also showing on my smartwatch. Since switching from the Dexcom receiver to using xDrip+ and a Pebble 2 smartwatch, I lowered my A1C by a full point, just by getting in the habit of frequently glancing at my watch (to see my BG and recent BG trend), and entering info for correction bolus into my Tandem x2 pump. This change in behavior has also made me more aware of cases where I have been underestimating carbs for some foods, so over time my correction boluses have become smaller. And often, now, the pump indicates no correction bolus needed (i.e., I just need to wait for IOB to run its course). Remember, the new Guardian connect is bluetooth and the 670g is RF. Don’t count on using a smart phone with the pump. Thank you for this great article. This is my first pump ever and it’s been interesting to say the least. I was in Manual Mode for about a month and my BG numbers were definitely improved. The I switched to Annoying Mode, I mean Auto Mode and things have changed big time. What my pump says can now be wildly different from what my meter says, both in terms of highs and lows, and other times is spot on. The inaccuracy is frustrating. This whole “loop” business was so insightful…I haven’t had a full night’s sleep in the week I’ve been on Auto Mode. It wakes me up 2 to 5 times a night asking for BG or whatever. I feel exhausted in the morning. I kept telling myself ‘this can’t be normal, this can’t be the way we’re supposed to operate with this thing.’ Thank you so much for the info. Thank you for a great review that includes pros and cons of the 670G. I was diagnosed with T1D in 1963 and began wearing a Medtronic Paradigm pump in 2002. The original Paradigm pump had volatile memory, and rewinding the piston or changing the battery often caused the pump to lose all settings: date and time, language, basal settings, bolus settings (activation of square wave and combo boluses), etc. 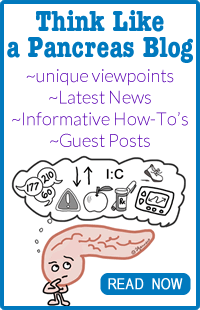 It may have been Integrated Diabetes or another diabetes blog that warned of the Paradigm’s memory loss. After the 4th occurrence, I called Medtronic and asked for a replacement pump. The customer service representative said that the pump had a 4-year warranty and that I could not get a replacement pump until the warranty expired. I asked to speak to a supervisor, who agreed to send a replacement pump with non-volatile memory. Memory loss in an insulin pump could result in a medical emergency or death, and I still do not understand how Medtronic got around a federal recall of all Paradigm pumps with volatile memory. In the mid 2000s, Medtronic introduced a new infusion set that often malfunctioned, causing high glucose levels. When I called Medtronic and started to explain the problem, the customer service representative interrupted me and said, “We know why you’re calling.” She explained that the federal government had issued a recall, and that I would be receiving a letter in the mail with instructions for returning the defective infusion sets. Medtronic released the new infusion sets without adequate testing, and an apologetic letter from the company president did not give me any more confidence in Medtronic products. In 2013, my diabetes educator suggested switching to the Asante Snap pump, and explained that Asante was working with Dexcom to integrate the CGM with the Snap pump. The Snap pump had amazing features and Asante had excellent customer service. When Asante went out of business in 2015, I switched to the Animas Vibe pump. When Animas discontinued manufacturing insulin pumps and refilling supply orders, Medtronic took over and patients must order Animas supplies through Medtronic. The transition was a nightmare. It took more than one month for Medtronic to correctly bill my insurance. After being given the runaround and being told that my insurance does not cover Medtronic supplies, I finally spoke with someone from the Medtronic SOS Department, who apologized and explained that Medtronic hired new staff for the Animas transition and did not provide proper training. When the warranty on my Animas Vibe expires in 2019, I hope that Tandem and Omnipod are still around, as I do not trust my life with a company that puts profits over patient safety and that has such poor customer service. Thank you for your review! I started the 670G last week and had to take the sensor out within 6 hours since it was reading my blood sugar to be under 70 and therefore stopping my basal functions (I was actually 150 and rising since it was stopping insulin). Taking the sensor out was no problem, but the tape was very painful and took the first layer of my skin off. I still have a red huge circle on my stomach that is very irritated, raised, and feels like a burn. Have you had this issue as well? the taping for the Medtronic guardian sensors is very problematic. it tends to trap water beneath and is rather harsh when removed on day 1.
using a skin barrier under the sensor can protect the skin. removing tape after a warm shower is helpful and using an adhesive remover or baby oil around the edges and as you peel it off also helps. The tape is stretchy, so stretching it as you peel it off also helps to make the adhesive let go of the skin with less trauma. Sorry for the delayed reply. Sounds like a complex issue. Feel free to contact our office to schedule some time to speak with one of our clinicians. I’m confident we can figure out a solution. So I have a United Healthcare PPO which basically means I have a choice between the 670G and the Omnipod at this point in time. I currently am OOW on my Animas Vibe and use a Dexcom G5 with my mobile phone to dose my corrections and then administer my carb bolus about 30-45 minutes later for carb coverage. I also have a clinical background in diabetes. My last A1C was 6.6 with 87% time in range and very little hypoglycemia. While I don’t relish the thought of titrating back onto a basal/bolus regimen with pens if my pump were to fail, it sounds as though the cons outweigh the pros of the 670G. 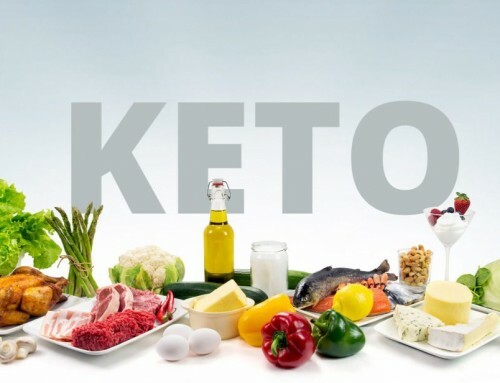 From a lifestyle perspective, I would like to know that if I eat varied types of cuisine (high fat, low at, regional cuisines, high and low glycemic index foods) and I can bolus effectively for them based upon delivery timing of the bolus, is the algorithm for that and exercise that inconsistent to constantly be asking for calibrations in auto mode particularly at night when I value my sleep. I also appreciate discretion in managing my diabetes.by dosing using an audio bolus button completing my correction first then administering my carb coverage after my downward trend and a half hour before my meal. Any realistic insight and feedback would be most appreciated. Aloha! The 670 is restrictive, but since the omnipod sounds like it’s not your preference, and the Tandem is out of reach with insurance you can use the 670 without automode and get all the same features of other pumps, with the addition of suspend before low features if you use the medtronic sensors. You might want to look into Looping if you’re open to a non FDA option. It gives you a lot more aggressive capabilities, but again you’re OOW on the pump. Keep an eye on our newsletter for more info coming. Just got off the phone with Minimed. I’ve never been so frustrated and felt like they’ve dropped the ball on the 670g system. As a type 1 for 38 years, the pump has been a life changer. Now that I am on the Auto Mode, I’ve never lost so much sleep and been a slave to my blood glucose monitor. With all the trouble shooting… It has come down to the fact that my blood sugars fluctuate so quickly, that the sensor cannot keep up and is constantly inaccurate when reading my blood sugars. Besides the fact that I have to test twice as much even when not in auto mode. I think it is really important for people to understand before they commit to this product, that it doesn’t make your life easier. The amount of alarms I would get, actually made my life debilitating. Now I’m in a bind, can’t down grade or return the product, which is extremely expensive to keep running, that actually has made my life more difficult I really miss my 530. Since I have to test as much as I do, I’ve decided to forgo the sensors and start using the new dexcom sensors instead. It’s not a perfect system, but I will have more accurate sugars and be able to input those into my pump. What it boils down to is, If I knew that the product wouldn’t work for someone like me, I never would have invested the money. I got caught up in the exchange program and didn’t even get auto mode working until 8 months later. Way past the return date. Now I’m stuck with a very expensive pump that I can’t use most of the functions it was designed for. Nothing they can do for a special case like mine. I have been with them for 20 years. I’m switching as soon as I can. Thank you so much for the article! I am currently on Medtronic’s 530G. Had the Enlite sensor but the transmitter died last year, and they couldn’t replace it. Probably a good thing as that sensor was not remotely close to my actual blood sugar readings. I’m now at the point of upgrade and contemplating the 670g. I really just don’t know what to do. My last 2 AICs were 5.4 and 5.6 respectively. Clearly I run a very tight ship. Having said that, however, we know that means way too many lows. In reading all of the above, it sounds like if I pursue the 670g, and leave it in auto mode all the time, I can pretty much do what I want, and the sensor will work properly? I’m contemplating just wearing the sensor at night. Not sure! Any hope you can provide would be greatly appreciated! Thank you! 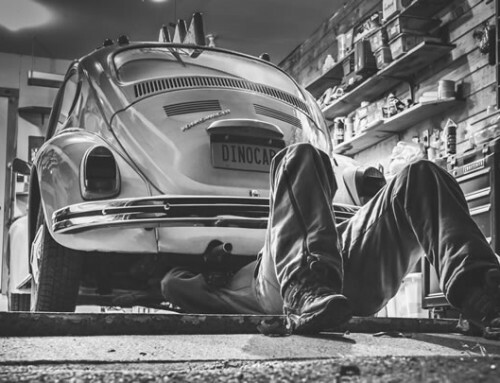 Automode works best when used consistently, but many users do find that they don’t want it through the day and only use it at night for better fasting control. It definitely helps reduce hypos. The Guardian sensor itself is in another world of accuracy compared to the enlite. Thank you so very much! Huge Help!! I was a long time Medtronic user but when I upgraded to the 670 I hated it. Too many button presses; the thing is UPSIDE DOWN; it pokes me; I can’t wear a seat-belt without taking the pump off my belt; the CGM is nowhere near as good as Dexcom’s; and many of the other complaints in the article. Instead I switched to Tandem after 20 years with Minimed and I could not be happier. The integration with the Dexcom CGM on my pump is great and since Tandem just announced they will be supporting the new Dexcom G6 and will be adding a Predictive Low Suspend feature to my pump that I can just download I am over-the-moon. They are also working on a hybrid closed loop system and again, all I will need to do is download it once it is FDA approved. Tandem may be behind Medtronic in releasing these advances but they will be far superior to Medtronic’s since they are based on the Dexcom technology. And the G6 means no more fingersticks to calibrate the CGM and you can wear it for 10 days. It’s also smaller and sticks to the skin better than the Medtronic sensor. Their next version is rumored to be a 14-day, no-calibration sensor-transmitter and will be about the size of a skittles candy! Okay, so that’s not coming out till 2020 but with my Tandem, all I will need to do is download the upgrade to get on board. My only complaint about the Tandem was the case but I solved that. They sell a “leatherette” flip case that works just like the Tandem G4 case. The only problem is it closes with velcro istead of a snap. However it was very easy to cut the velcro off and replace it with a snap from a craft store. Now my pump/CGM device hides in an attractive, black, leather-looking case that looks like a tiny cell phone case. Oh, and since switching to the Tandem with Dexcom CGM my A1c dropped from 6.8 to 5.8. That freaked my doctor out until he looked at my CGM data and saw that I had very few lows. I achieved that level of control by actually reducing my lows and eliminating rebound highs completely. The Tandem also makes it very easy to get my basal exactly right. When I’m not eating, my BS is usually just a flat line. I am 78, 54 years T1, currently on a Paradigm 523 that is due for replacement, and have never done CGM. Can a 670G be used as a basic manual pump to start? Hi David, the Medtronic 670G is actually started in manual mode entirely. So there would bbe little to no functional difference from your current pump. Then the CGM features are added, finally auto mode. However one thing to remember is that automode is not approved by Medicare. So if you would be getting your pump covered by medicare it would not have the automode features. To see other pump options available you can check out our pump comparison. I have been a long time Animas One Touch pump and Dexcom CGM user. I’m switching based on Animas pumps failing two consecutive summers due to water intrusions. I’m trying to evaluate the relative costs of the supplies – infusion sets, cartridges and CGM sensors. Can anyone provide a comparison? costs would depend on your insurance, and pricing can be obtained by contacting the suppliers. I’ve been using the 670G and the g3 sensor since 7-9-18. It’s currently 8-22-18. I am vastly disappointed in this system on the whole. The sensors for the G3 have NEVER lasted the advertised 5-7days. The longest I’ve gone without one ‘burning out’ is 4 days. I’ve had them refuse to calibrate after a mere 12-14hours and it always seems to do this in the middle of the night when it is the most trouble to insert and calibrate a new sensor. From 7-9-18 to 7-13-18 I had my first sensor fail at the 4 day mark. The next sensor failed at three days. The one after that 2 days. And it’s been a “laugh riot” of sensor swaps every 2 days since. I am using the medtronic approved belly locations and still not getting good results. I was asked to try the back of the arm by one of their techs, that too burned out in 2 days. We replaced the transmitter and that didn’t help at all either. I’ve opened a request to return this terrible and unreliable device to them so it isn’t an anchor chain that drags me to my death. They have ‘forwarded that request to a team of managers that will review the request and determine if they will allow the return’. And they are taking 7-10 days to do this. After stating that you can only do the return for the first 30 days. The only reason I went with medtronic was the promise of the alert on low and suspend on low features for this pump, as I have difficulty detecting them on my own. My own experience has been that the sensor reports LOW not high more often when compared to actually blood glucose levels. I’ve replaced 15+ sensors in these first 40 some days. Completely unacceptable performance. Last night one of their senior techs informed me that I might just be too thin (I’m currently at 150lbs and a size 30 waist) because I’ve been walking the last three years to lose weight. Sorry to hear about your struggles. Here at IDS we work with a number of 670G users to maximize the pump for their use and troubleshoot some of the issues that you’ve mentioned. OTher users find that they need to make the switch to another system. I hope you are able to get this resolved in a way that helps you get the care and support you need. If you’d like to gain some insight into using the system or troubleshooting some of its challenges feel free to reach out to our office. I have the same problem, I had 2 never start up spent several hours attempting to calibrate . Numerous that just got loose.”tape didn’t hold securely” one fell off. Then you have to call and spend 35 to 50 minutes on the phone with someone who may or mar not understand what you are talking about for replacement. I had problems with my first pump it kept going into a “loop” after approximately 6 months of frustration and many sleepless nights the ran a test on it and determined it was defective. Something I had been questioning after the second month. And the tape itself irritates my skin. I am one that doesn’t have a regular schedule I work days but the intensity changes daily. And yes I have started lying to my pump to keep my within desirable range. If I eat past 6:00pm I am in trouble all night with high glucose levels. My personal A1C has not improved it is still the same. Really good article, you’ve nailed it again Gary! I’ve been on the 670G for months now and find Automode best used at night. Often I’ll just move to Manual Mode in the morning and back into Automode after my last correction bolus after supper. Automode will often crap out at 2-3 am but you can turn that alarm off, it will stay in safe mode quietly till morning. If I get a boatload of calibration error looping I turn off Automode for hours, that often fixes it. Sensor accuracy for me has been pretty good. I often get 2 extra days out of my sensors. I strategically tape the transmitter so I can remove it without messing with the sensor. At day seven I turn the sensor function off in the pump, carefully remove the transmitter, charge it for 40-60 minutes (till the light stop blinking), plug back onto the sensor and re-tape it, then restart the sensor and go through the 2 hour warm up before calibrating. I hate the design flaws that Gary and others have identified, and the clip breaks too easily. A drop of Gorilla Glue on the hinge holes prevents the lousy cheap pin from working it’s way out. The neoprene and leather cases help–except the zippers assume you’ll always have the sensor on your right side. Why don’t the engineers wear these things before they put them out on the market? The linked Bayer Contour Next 2.4 is only available through Medtronic, not at any pharmacy (regular Contour Next monitors are). This was a terribly helpful read and I truly enjoyed all of the ship references. Thank you, Gary! I’m excited to get started with my 670G and now I have a much better idea of what to expect. Great review! I managed to achieve actual A1C of 5.7 with the 670G and a strict diet, and 6.5 with the pump without the diet.. That’s an AMAZING improvement from 8.5-9.0 without the pump! I went from dexcom g5 and pens to the 670g. I love the way the auto adjustments work. Problem is when the cgm is t working correctly which seems to be a lot. It’s almost always off by at least 20. I have had quite a few sensors that failed. Very disappointed. My dexcom was almost always with in 5-10. Almost never needed re-calibration and was just easier to use. I think I just want to send this back and get the tslim and dexcom combo. I would encourage everyone to look at companies other than Medtronic. I have used Dexcom, Animas, Tandem, and Minimed Medtronic over the last 15 years that I have had a pump. I recently went back to Medtronic and have been shocked at how terrible their customer service and product management has become. I have had endless troubles with my pump and sensor, and stopped using the sensor because it was so inaccurate that it actually caused my A1C to increase immediately by 2 points. 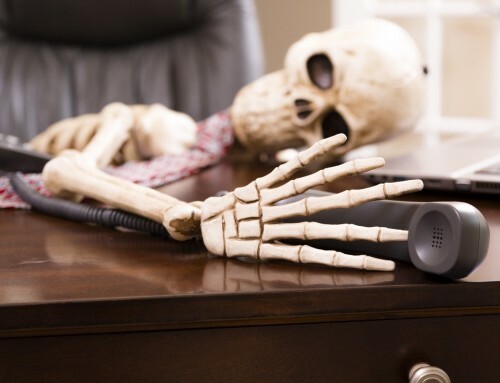 When I call Medtronic customer service, half the time I talk to someone who is unbelievably snide and condescending. They are not even stocking their supplies for replacement sensors and sites-so when something goes wrong, good luck getting any help with it. I have never had these issues with any other company and am in the process of switching back to Tandem. I would recommend avoiding Medtronic if at all possible. My major issues are ridiculous amount of key strokes such as hit bolus and lands you a blood glucose. Confirm bolus then deliver. gets me at least once a day. bg more than 20 % off trashes sensor lie all the time. calls to minimed ask redundant questions they know who i am what pump I have but need to give it to them. last blood sugar if hi lie otherwise another bank of useless questions. today i was asked if a infusion set was overheated since i mentioned tubing broke last night. Turns out now I have to wait 5 hours for active insulin updating to time out. We need some ability to customize software. Has anyone hacked in to modify? I thought the sensor would work great when my doctor recommended it, but now that i have been on it for about 5 months i am ready to through it out the window. I am constantly getting a message saying “cannot find sensor signal” and “calibration not accepted”. I am always calling medtronic at least 1 time a week saying it wont connect. They just tell me the same thing in how to connect it, but it usually takes about 3 times before it connects. Its beyond frustrating. Im to the point i want to go back to giving myself shots. Thank you for your in depth research and observations on the 670g! You are right on! I cannot stand the 670G! So sorry I have this pump! About ready to go back to insulin pen. I work outside in the horticulture field and this pump cannot keep up with my high activity level!!! I cannot just stop working to test when the pump asks me to – I am working!!! The sensor accuracy is so off!!! Also when working to many lows even in auto mode and sleep disruption with the ALARMS – mainly calibration. Think Medtronic was anxious to get this 670g pump out to market without taking care of rough edges this pump obviously has. We have enough stress without being awakened during the night to deal with some calibration alarm. Come on Medtronic you can do better!!!!!! Yikes. I understand now why my ‘gut sense’ re: switching from 530 & no CGM to 670G with CGMi s causing me soul anxiety. My training on 670G starts next week … and the system is still in its box, untouched still, a month after delivery. Fear of new complexities? Fear of not being self-disciplined enough to eat regular meals at regular times? I’m NOT in good control. Yet I’ll DO this, as my Lack of warning signs for hypoglycemia have fainted into oblivion — hence the need for CGM to alarm when asleep and nearing a Low. I have history of grand mal seizures when very hypoglycemic. I feel insecure about even opening the box, yet I know that there are several preparation things to accomplish before I start the training. Yep, I own this new pump/ CGM and can’t re-decide about Medtronic at this point. I fought hard to get insurance to cover it, and won. This is the first time in my life I’ve felt insecure about doing something new. Being on long-term steroid treatment for sarcoidosis, my BG control is wackier (steroids do that, as you know) — so I need more help than my Yale can provide … and I thought or I think that the 670G might be a big help to me. At this point I need make the best use of the new system, despite its problems. I AM SO GRATEFUL for discovering IDS as a mentor now, starting today, Donna, and for objective, non-sales help in this — and for your honest review! Knowledge is liberating, and knowing potential problems ahead of time is far better than imagining and fearing the unknown or worst. You’ve summed it up very well. As a 30 pump user the massive keystrokes bother me. Now I’m down to 3-4 bolus not delivered because I did not get to the end. Confirm seems like the end not deliver. Frustrating to get an alarm and need to play a short game of pinball to get to problem. Need a bolus menu direct to bg. My other gripe is demanding calibration with arrows on screen. Correct readings will through system off with calibration not accepted. I’ve had a few occurrence of cycling of calibration demands. Asking for calibrations five minutes or less appart This device takes at least a solid hour on average to operate if you include hour long calls to tech service. This would have been my third pump, my first the Omnipod, and they I switched to Medtronic because I was dealing with too many occlusions and constant alarms. Being an ER nurse, this made this too cumbersome to deal with when dealing with critically ill patients. My last pump the 670G, I was really excited because its features were coming closer to having almost natural use like an external pancreas. I received my pump, couldn’t schedule training for two weeks do to the reps schedule, and then started immediately. My first concern is that the infusion set were causing me a lot of pain to insert (EVERY time, usually some of the time) and were becoming either occluded or dislodge very easily, causing small painful lumps (lipohypertrophy) under my skin. We changed infusion sets to the ones typically used on pregnant women and children (shorter needles and less painful to insert). After this I began to develop SEVERE skin reaction, I noticed blood under the adhesive (which I thought was coming from the site). When I went to change my site because it was too painful there was blood oozing from my injection site and the adhesive was pulling my skin up with it. I had a large site that was painful, I had to wear a non adhesive bandage so clothing would not rub it and had to take OTC pain medication because from the several now lipohypertrophy sites now along with patches of missing skin, I was in pain and felt like I was a walking petri dish waiting for an infection to start because of the multiple open areas. Even as a health care professional I was SCARED. 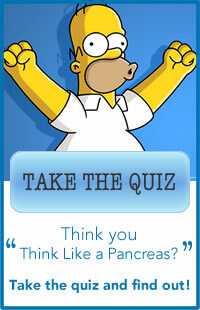 We know as diabetics we must be careful for any source of possible infection, especially skin. I contacted Medtronic and we tried different types of adhesives and they all did the same thing, pulling my skin up with removal. I tried using skin prep, alcohol over adhesive to loosen, even Vaseline and vitamin E oil to help loosen to remove but my skin was no liking this adhesive. While I have always had a slight reaction to bandaid adhesives, slightly reddened/itchy but goes away in a few hours, never has it pulled my skin off with it. I waited until my next appointment (unfortunately a little over two months -as we know specialists are very busy and difficult to schedule with) to see my endocrinologist and see if there were other options. He advised me based on his assessment and the pictures of the original wounds to stop using the devices, the risk for infection were too grave. When I advised Medtronics, they told me that it was my not physicians decision to stop it, he ordered it and that they could give me more training. How is more training going to stop me from having a reaction to your adhesives. They would not take their machine back which has only been used form about 1 to 1.5 months as I stopped using and went back to injections after the 4th round of using and failing (sites were change more frequently than 3 days for me because of lipohypertrophy and the pain) and they refused to allow me to return my unused supplies (the box sent in was not even opened) nor the $10K pump (that my insurance company only paid a portion of). They say that their customers are important – how so when I told you my scenario, your 30 day return policy is ridiculous when you don’t train for 2 weeks giving a person technically only 4 uses to see if the device works (but this was not a function issue), and you continue a diabetic patient to use a device that is causing a risk for infection. Shame on Medtronics. They are concerned about their bottom line not the safety of the patients. I also tried to tell them that I cannot where an insulin pump without a physician to monitor and order the insulin. They still want me to accept more training. BE WARE OF BIG COMPANIES WHO DO NOT CARE ABOUT THE PATIENTS. As a nurse, I took an oath to do no maleficence (causing harm or destruction, especially by supernatural means). Perhaps durable medical supply companies, Medtronics, should take the same oath! I only hope there not others out there being coerced in this manner. Really sorry to hear about your experiences! we work with a lot of patients on overcoming skin and site issues and it is unfortunate you did not get the support you needed at the time. if you’d like to look into other options for skin protection we’d be happy to lend our expertise. Medtronic is very rigid on their 30 day return policy, it is unfortunate, because it can take time for issues to arise and even longer to try to troubleshoot them before the call whether to continue or discontinue pump therapy is made. We have a 90 day return policy in Ontario. My husband and I were trained a week after receiving the 670 G. Maybe, Americans should get nasty with Medtronic as Ontario did and get a 90 day return policy or the company doesn’t get ADP (Assistive Devices Programme) funding! 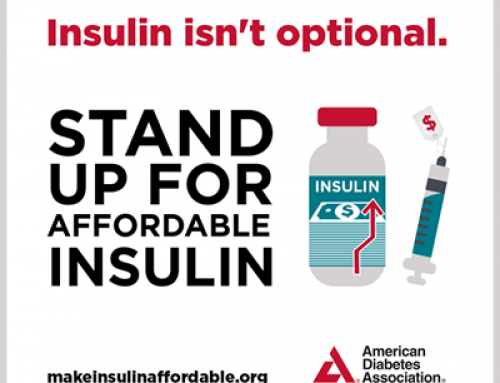 ADP funds most insulin pumps for people with type 1 diabetes in Ontario, I would imagine. I just got my 670g up and running 4 days ago and I cant stand this thing. I have been a diabetic for 23 years and a pump wearer for 17 years. I have always worn Medtronic devices. I maintain a 6.2-6.5 a1c with only pump therapy, no cgm. This pump is the worst I’ve ever worn. It is way bigger, bulkier and the reservoir pokes me in the stomach. It pulls my pants down when I wear loose fitting pants and it is impossible to wear in a dress. The incessant button pushing drives me crazy. I dont understand the need for so many steps to achieve one action. I havent even put on the cgm but I tried it 4 years ago and ripped it out within the same day and from the comments it looks like not much has improved with their cgm as far as failures and constantly trying to keep it synched well. I was hoping the cgm would help prevent lows and having to test them and aide in my weight loss, but i am well controlled enough that I dont want the headache or messing with the sensors all of the time. I have already contacted them to return this device because of the holidays I fear if I try to stick it out the return policy will be up by time I can talk to someone for advise or help with these issues(which aren’t really fixable I guess) their return policy is bogus by the way! I put my old pump back on already and just hope it doesnt poop out before mini med gets their head out of their butts and makes a pump that is comfortable and user friendly. I think they forget this is something on us 24/7. Its not a phone or for funsies. I just dont understand why they would make thicker and bigger and not try to slim it down and have the reservoir to the side and not gouging you in the gut! I was quite disappointed in their customer care this time as well, as bad as calling the cable company! I am very curious about another pump but fear they wont be as good as what I’ve got or be able to give me the control I have. Hi Haley, your complaints are definitely common! The current Guardian CGM is FAR superior to what was out there 4 years ago, but the system does still require about 4 calibrations a day for optimal accuracy and the automode feature on the 670 is very button and alert heavy. I think you’d be happier with a less cumbersome system and a CGM with fewer alerts. 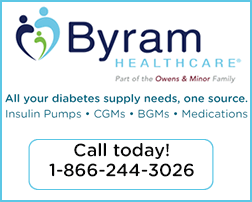 I recommend checking out our pump and CGm comparisons or giving us a call to schedule an appointment where we’d be happy to give you all the info on current pump technology and help you find the right fit for you. I have been T1 for 42 years, I am using the Medtronic 640 and have been offered an upgrade to the 670 when it is issued in Australia. I absolutely hate this pump and refuse to use the CGM even though I have been offered 3 months free usage of it. They obviously try to get you to use it. The price of it is not feasible. I have used 4 different pumps before. HI Carolyn, we work with patients around to globe to help them find the right tech for them and maximize itse use in their lives. I would recommend checking out our pump comparisons for more pump options. I know coverage can be tough in Australia on different devices. Hopefully you can find a better fit. I think the fact that you are still getting comments on your article now, almost a year and a half later speaks to how relevant and well written your article is. I am an animas vibe user with Dexcom cgm integration on my pump. I have just received my Medtronic 670G in hopes that I can get my A!C below 7.4. Doesn’t sound easy according to your article. I was just wondering if you are still on the 670G. If yes, I was wondering if you would consider giving an update to your relationship with this technology. Hi Vivian, while all of our educators used the 670G system for acouple of months or more, none of us stuck with it. Please feel free to reach out to IDS for an appointment to see how we can help you live with your system and help it perform better with less burden. We have been working with patients using this system for about a year and a half and have had great results(within system capabilities) helping people meet their goals with less hassle. Also keep an eye out for a coming blog on some tips for use of the 670G in automode. I have been on the 670 pump for one month, after twenty year on paradigm. Started CGM two weeks ago am very disappointed. How long did those of you who tried it and quit use it before you quit. The word auto,suggests trusting the sensors but I do,not. Did going into,auto change any minds about quitting CGM? we would love to work with you to get the most out of the tech you are using. Most people we work with are really frustrated with 670 system, but with some support and education are able to use it successfully for their individual needs. 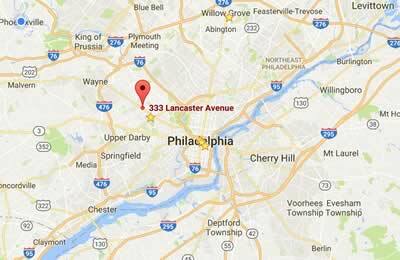 You can call our office for an appointment 610-642-6055. WE work remotely across the US and around the world! Also, keep an eye on our blog, we have more info about using the system coming soon! For now I am just using the pump and no CGM. The three weeks on CGM were the must stressful and disconcerting period of all 60 years living with Type 1. I am happy with my 6.5 A1c so I have discontinuedCGM. If I could get my Paradigm back I would . I really wish that the advertising for CGM was honest about the distinction between SG and BG. 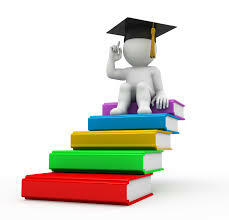 MOST ESPECIALLY THANKS FOR YOUR INFORMATION AND FOR PUBLISHING THE REVIEWS. THEY CONFIRMED THE AUTHENTICITY OF MY EXPERIENCE WITH THE 670G. Ialso haven’t had a Guardian sensor last 7 days except for 1. I haven’t quite finished my first box yet though. Our enlites were very good and lasted 7 days always. I always felt that if we got too many high bg periods the cgms sensors didn’t last as long. Keeping your bg in good control then is its own reward. You use fewer sensors that way. I think all this confirming of actions is because Medtronic doesn’t want a neophyte user to mess up. Say a EA was trying to operate the pump and only did it once in a while. The long explanations on the screen might help the neophyte user understand better what he or she is doing and save the patient from a bad outcome. Otherwise, I have no explanation why all these button pushes are suddenly necessary. I might have found those screens helpful if I was a new user, but I’ve been using Medronic pumps since 2003 and sensors since 2008 so I’m not a newbie! Medtronic has always been a company that builds in safety redundancies in its products, but the excess of these with the 670G system is likely due to their having to prove safety of a new technology to regulatory bodies like the FDA. Hopefully future iterations of HCL systems will allow for more user flexibility and fewer redundant safety steps in the way. I don’t know why the changed the meter from one touch to bayer. with bc/bs the test strips are $20.00 more prescription than the one touch. I use the 630g pump with the old Medtronic meter that came with the pump before the 630g. Cost for test strips do add up. I test at least 10x a day. The change was motivated by accuracy. (Though we can never ignore the motivating power of $$) The Contour meter by bayer has been independently tested against other meters on the market in 2017 and was found to have the highest level of accuracy. When using a Meter to calibrate a CGM it is important to be using the most accurate meter available to ensure that those calibrations are as accurate as they can be for peak CGM performance. Thank you. LOL about the working cruise ship. The only part of the system I like is the Contour meter.